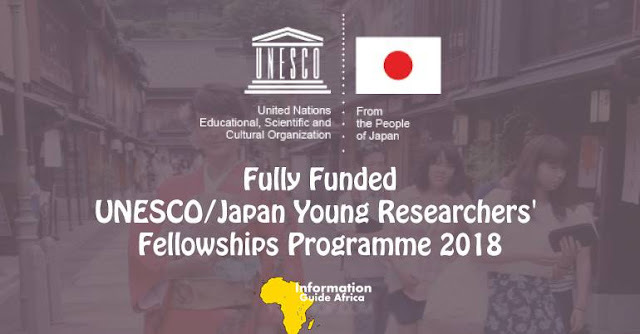 The UNESCO/Keizo Obuchi Research Fellowships Programme (UNESCO/Japan Young Researchers’ Fellowship Programme) is new and available for researchers in the Developing Countries. It is being brought to you from the government of Japan. The aims of these fellowships are to support imaginative and innovative post-graduate researches in the four development areas of particular interest to the UNESCO. Aside these research topics, no others will be appreciated. 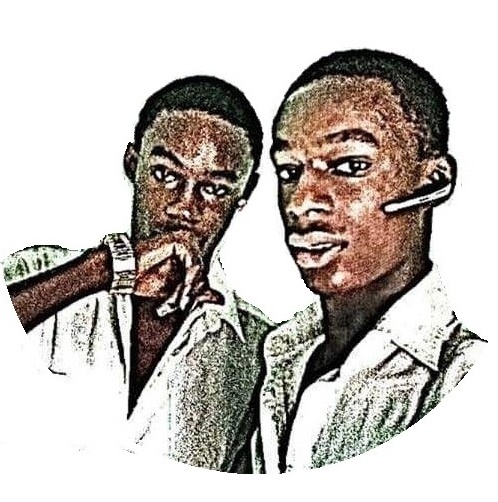 The location would be Japan. i) A Lump sum contribution of US$10,000 will be awarded to selected candidates. The amount, to be paid in two or three installments, is intended to cover research costs only, and will not be negotiable. ii) No other costs will be considered and grants will be neither extended nor renewed. All participants of Developing Country can participate. The scholarships can be taken in one or even two countries. At the end of which the participants MUST return to their home countries and use their acquired knowledge to impact positively. Please check the official website for that. Eligible regions include Afghanistan, Algeria, Angola, Antigua and Barbuda, Argentina, Armenia, Azerbaijan, Bahamas, Bahrain Bangladesh, Barbados, Belarus, Belize, Benin, Bhutan, Bolivia, Bosnia and Herzegovina, Botswana, Brazil, Brunei, Bulgaria, Burkina Faso, Burma, Burundi, Cambodia, Cameroon, Cape Verde, Central African, Republic Chad, Chile, People’s Republic of China, Colombia, Comoros, Democratic Republic of the Congo, Republic of the Congo, Costa Rica, Ivory Coast, Croatia, Djibouti, Dominica, Dominican Republic, Ecuador, Egypt, El Salvador, Equatorial Guinea, Eritrea, Ethiopia, Fiji, Gabon, The Gambia, Georgia, Ghana, Grenada, Guatemala, Guinea, Guinea, Bissau, Guyana, Haiti, Honduras, Hungary, Indonesia, India, Iran, Iraq, Jamaica, Jordan, Kazakhstan, Kenya, Kiribati, Kuwait, Kyrgyzstan, Laos, Latvia, Lebanon, Lesotho, Liberia, Libya, Lithuania, Macedonia, Madagascar, Malawi, Malaysia, Maldives, Mali, Marshall Islands, Mauritania, Mauritius, Mexico, Federated States of Micronesia, Moldova, Mongolia, Montenegro, Morocco, Mozambique, Namibia, Nauru, Nepal, Nicaragua, Niger, Nigeria, Oman, Pakistan, Palau, Panama, Papua New Guinea, Paraguay, Peru, Philippines, Poland, Qatar, Romania, Russia, Rwanda, Saudi Arabia, Samoa, São Tomé and Príncipe, Senegal, Serbia, Seychelles, Sierra Leone, Solomon Islands, South Africa, Somalia, Sri Lanka, Saint Kitts and Nevis, Saint Lucia, Saint- Vincent and the Grenadines, South Sudan, Sudan, Suriname, Swaziland, Syria, Tajikistan, Tanzania, Thailand, Timor Leste, Togo, Tonga, Trinidad and Tobago, Tunisia, Turkey, Turkmenistan, Tuvalu, Uganda, Ukraine, United Arab Emirates, Uruguay, Uzbekistan, Vanuatu, Venezuela, Vietnam, Yemen, Zambia and Zimbabwe. In other to apply, you must submit the required documentation on the UNESCO Fellowship Application Form. Each Member State may nominate a maximum of two (2) candidates. It is the National Commission’s responsibility to select the two candidates whose applications it wishes to submit to UNESCO. The application(s) should reach the Section of Participation Programme and Fellowships, UNESCO, 7, Place de Fontenoy 75352 Paris 07 SP before 30 November 2018 midnight and an advance copy may be sent by e-mail: s.bantchev-at-unesco.org and l.zas-friz-at-unesco.org . - Why? The concrete nature of the proposed project’s contribution to the fields listed in paragraph D.1 above; its innovative, original aspects; and the scope and purpose of the research project. The candidate should demonstrate the reasons the theoretical and practical knowledge or training acquired at the host institution would be beneficial to her/his on-going research project. - What? The expected results or impact of the research project being undertaken. - Where? The proposed country where research will be undertaken (one to two countries maximum) and the name and address of the host institute. - When? The timeframe explicitly stating the proposed starting date and the suggested duration of research which should be of three months minimum and nine months maximum. - How much? A detailed budget estimate indicating the resources required for the candidate to undertake the proposed research. The amount should be determined according to the proposed duration and place of research. The amount should not exceed US$10,000. All figures must be shown in US dollars and must be included on a separate page. The amount indicated should cover, exclusively, the international or domestic travel costs for the approved itinerary and personal subsistence abroad, etc. (The object of this Programme is to provide research fellowships so it is considered that in most cases tuition fees will not apply). Applicants should be realistic in compiling their proposed budgets, and consider that an average of US$1,000/US$1,800 per month for accommodation and meals (including local transportation and incidentals) should not be exceeded. Applications where funds requested are judged to be excessive in relation to the objectives and importance of the project are likely to be considered for a smaller grant.